Twisted Turtle Prototypes - Computational Creatures 1.3 — Wonderful Idea Co.
Today, on the third day of summer camp, we started to move from discreet projects to a day long investigation of "twisted turtles" or open-ended, scrappy programmable art machines. 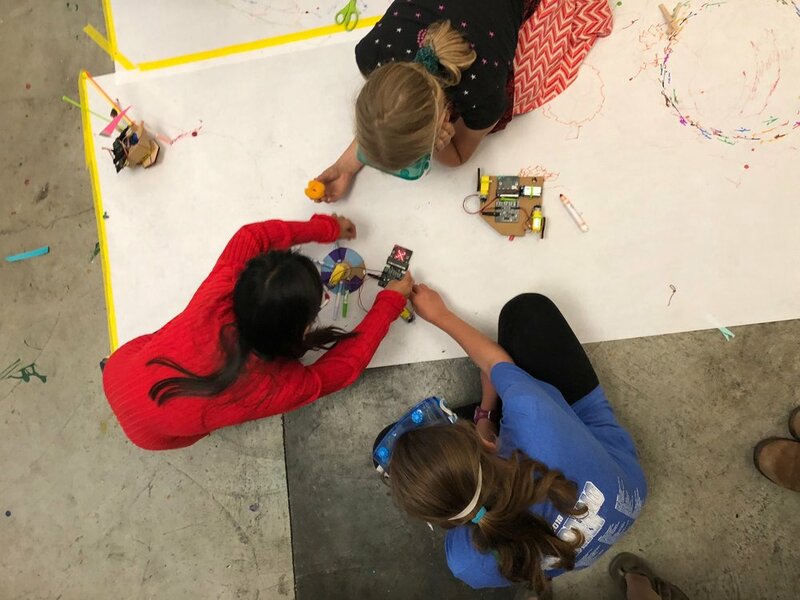 The provocation for the day was the idea of Seymour Papert's logo turtle as a seminal drawing robots and a video of the unusual kinetic sculuptures of Swiss artist Jean Tinguely. After the dicussion we had a quick introduction to moto:bit, a shield for the micro:bit that allows users to connect different motors to the programmable board. 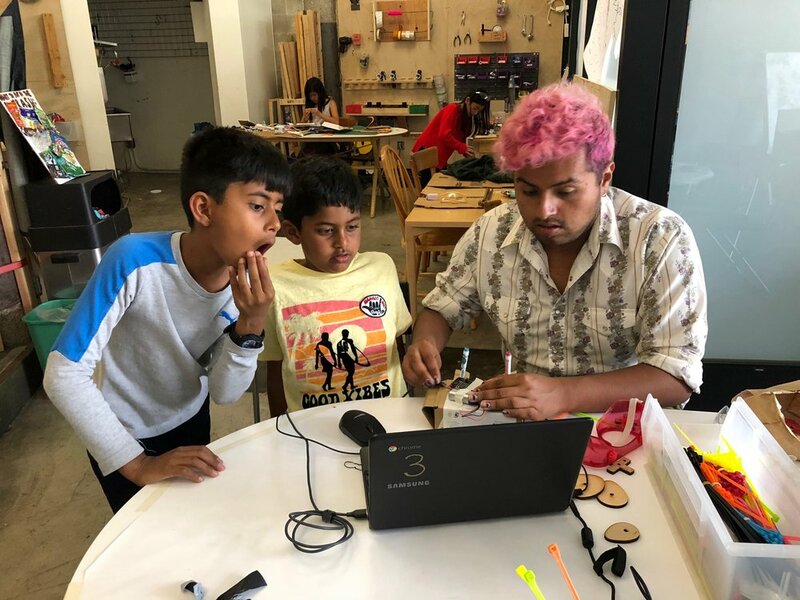 For the first half hour of the day groups experimented with just micro:bit, makecode, the moto:bit, one DAGU gearbox motor and the laser cut hubs. After a quick snack break we introducted three different twisted turtle examples and opened up the materials set to just about anything in the room. 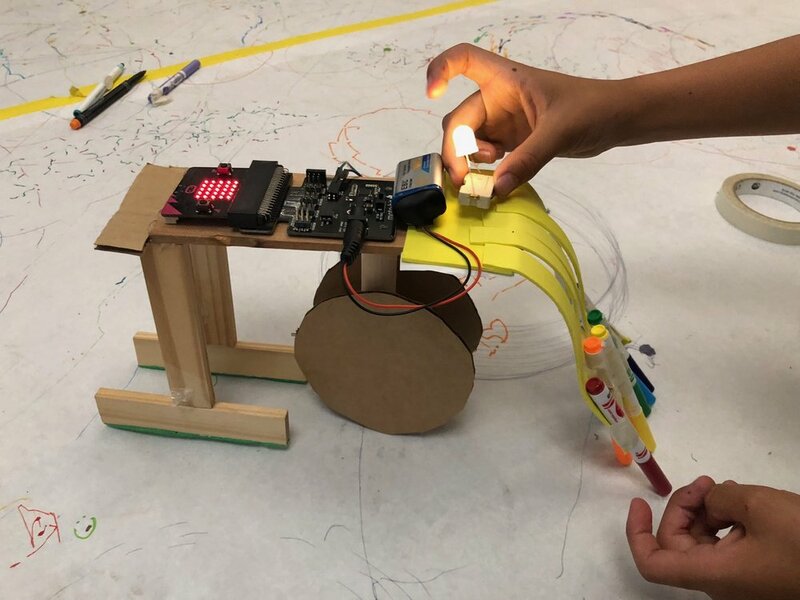 Campers worked with partners to come up with a plan for a unique and innovative contraption. Tinkerers used a wide range of tools from hot glue guns to japanese saws to drills to construct the bases of their art machines. And each group went back and forth between physcially building their machine and adjusting the code to create different motions. They also had to practice collaboration, commincation and expressing ideas to each other as they refined their ideas. At the end of about two and a half hours of working, we had lots of great projects and works in progress. The activity really showed the potential for wide walls a each group created something that reflected a very different set of ideas. From a WICO camp cruise ship to a oversized steamroller to a precariously balanced rainbow making machine, I was impressed at the strength of the ideas and the willingness of the group to experiment with new things. 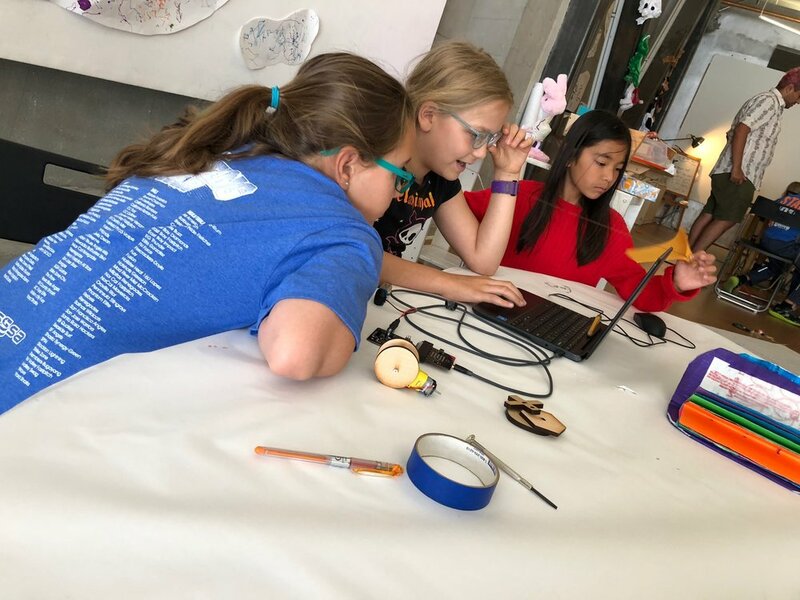 Over the final two days of the camp we'll continue to work on these art machines and utilize the materials set to test out a variety of ideas for computational creatures.